COME JOIN US FOR A WEE BIT OF FUN AND CELEBRATE LIKE THE IRISH! The Junior Board of The Arc of Central Alabama invites you to the Annual Shamrock Shindig. Enjoy St. Patrick’s Day fun with hors d’oeuvres, drinks, and even great live music from The Divines. All you need to do is show up in green (of course) and bring your luck so you can try to catch a prize in the always exciting balloon drop. Prizes include items like Barons tickets, a weekend stay in Orange Beach, gift cards and MORE! Who knows, you might even walk away with our $1,000 Pot o’ Gold Grand Prize. 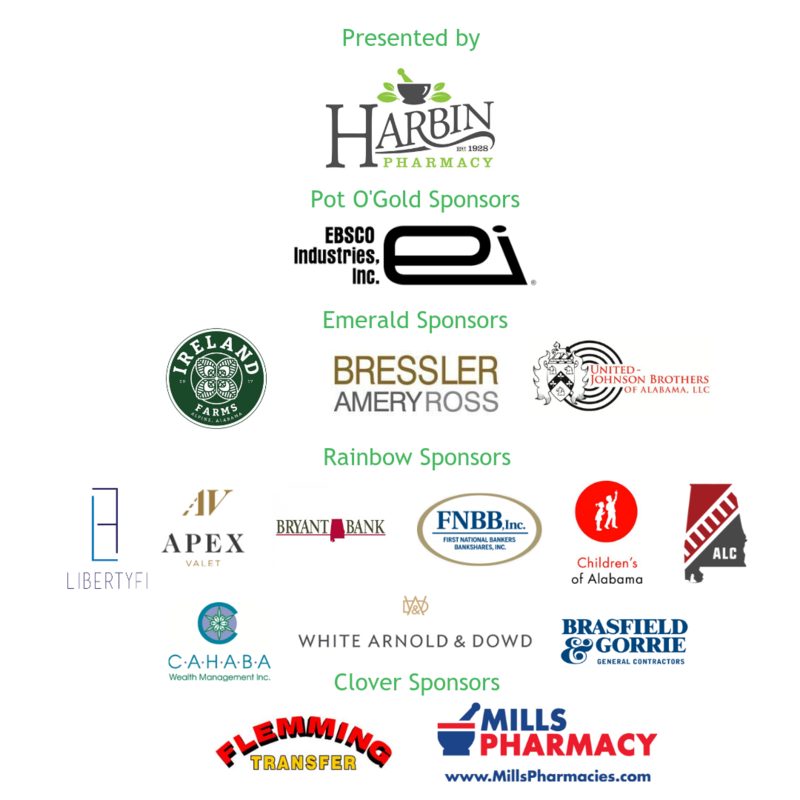 All proceeds from the Shamrock Shindig go to support The Arc of Central Alabama, Alabama’s largest provider of services for those with intellectual and developmental disabilities. Your support of this event will help provide much-needed resources like food and medical supplies for over 700 individuals the Arc serves every day. Proceeds will also support programming costs that aren’t provided through inadequate reimbursements from the government. Thank you for supporting this amazing organization. The 2019 event was a great success and wouldn’t have possible without our ticket purchasers, sponsors, and vendors. A huge THANK YOU to our sponsors. The Shamrock Shindig would not be possible without their support!